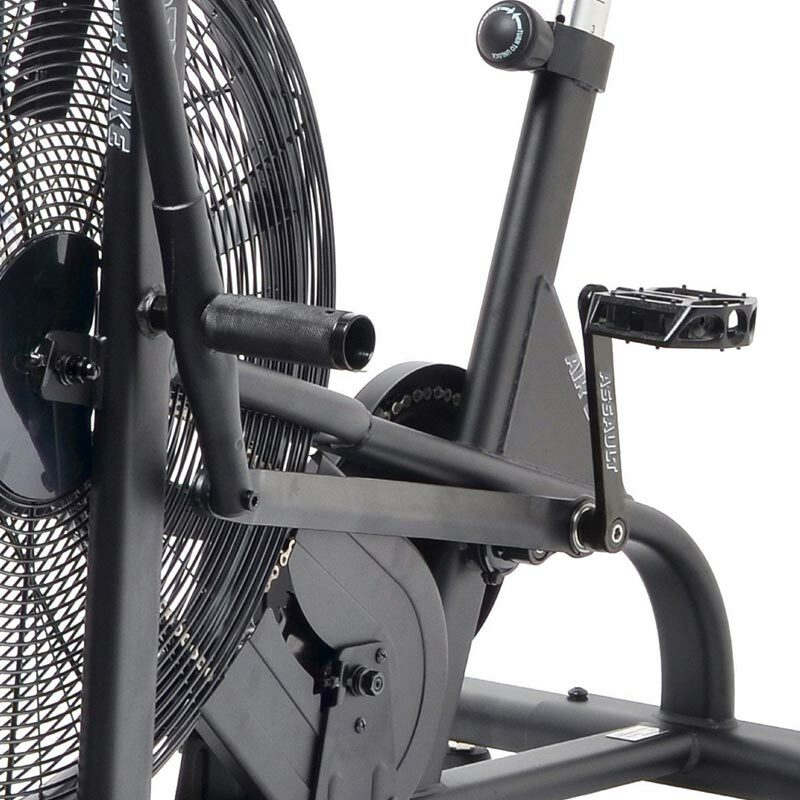 Perfected through years of design innovation and feedback, the Assault AirBike combines all the best features of a traditional fan bike and reinforces them for the ultimate machine. 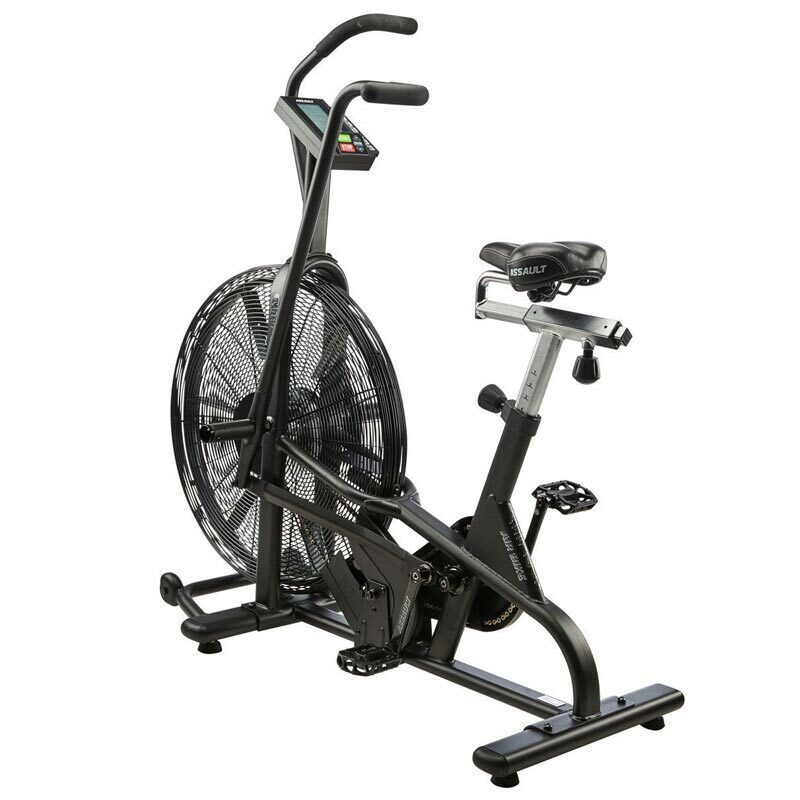 The bike provides a diverse and virtually unlimited workout to meet the needs of different individuals by challenging their ability and strength. 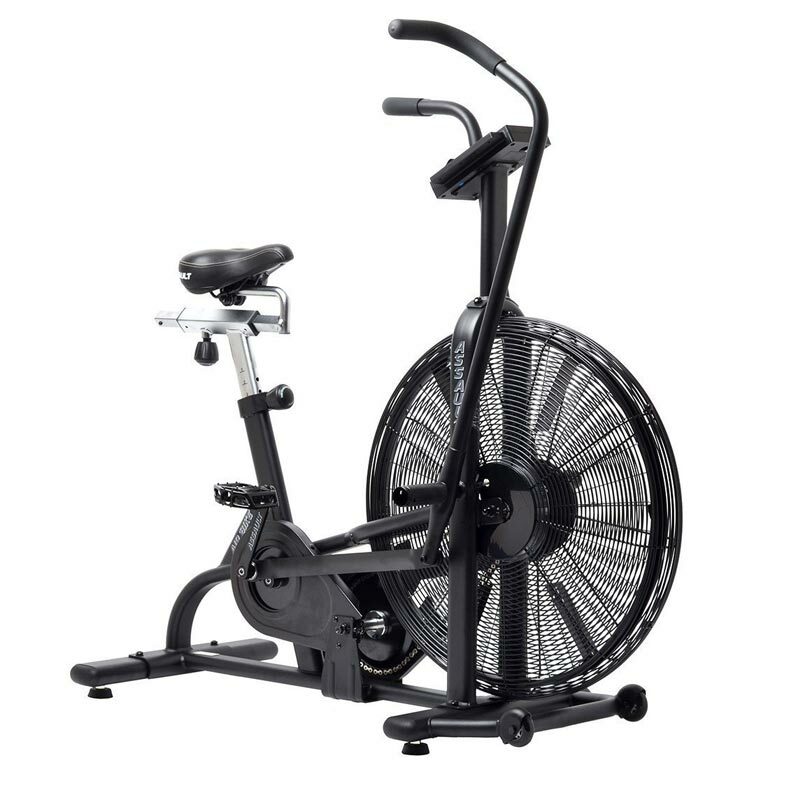 Heavy-Duty High-Tensile Steel Frame and solid rubber footings provide greater stability and eliminates side-to-side movement during high-speed stretches. Industrial Powder Coating on frame for durability. 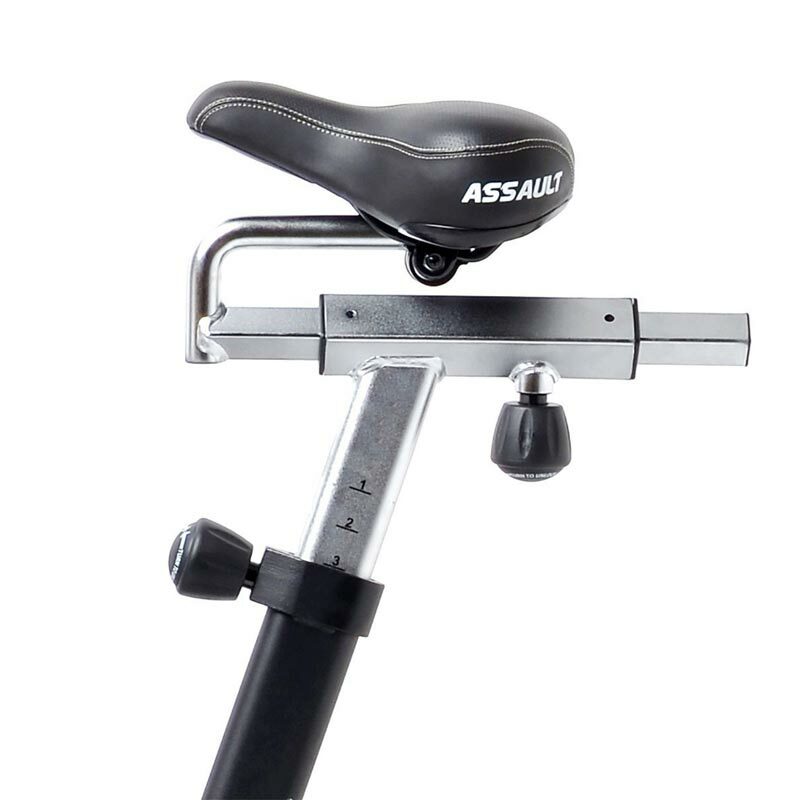 Six-Way Adjustable Hybrid Seat provides comfortable positioning to properly fit all users. 25 inch diameter steel fan delivers maximum resistance. 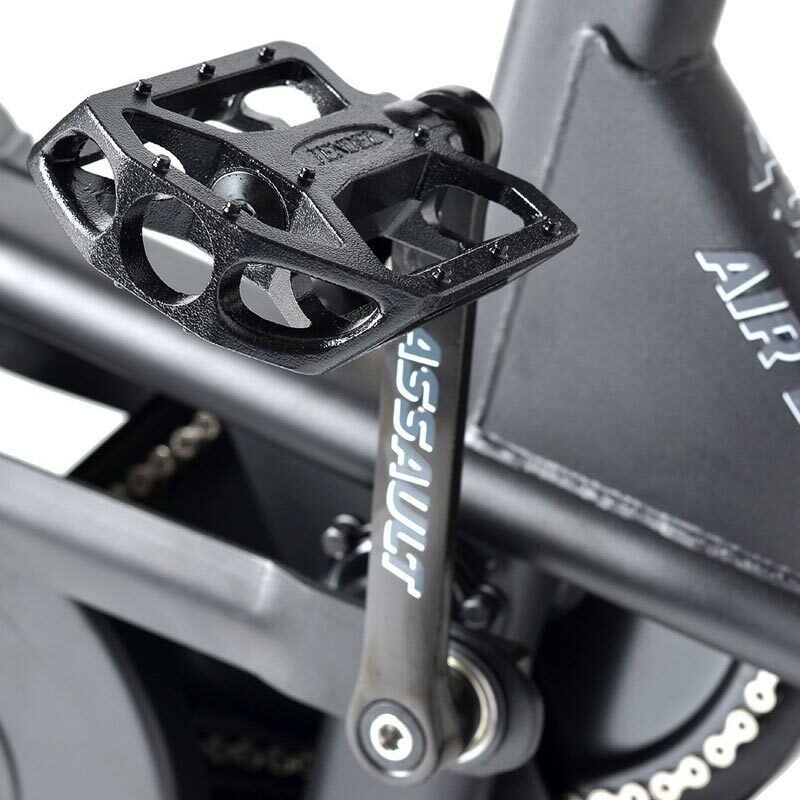 Reinforced pedals and crank with 25 Sealed-Cartridge Bearings ensure smooth operation and durability. 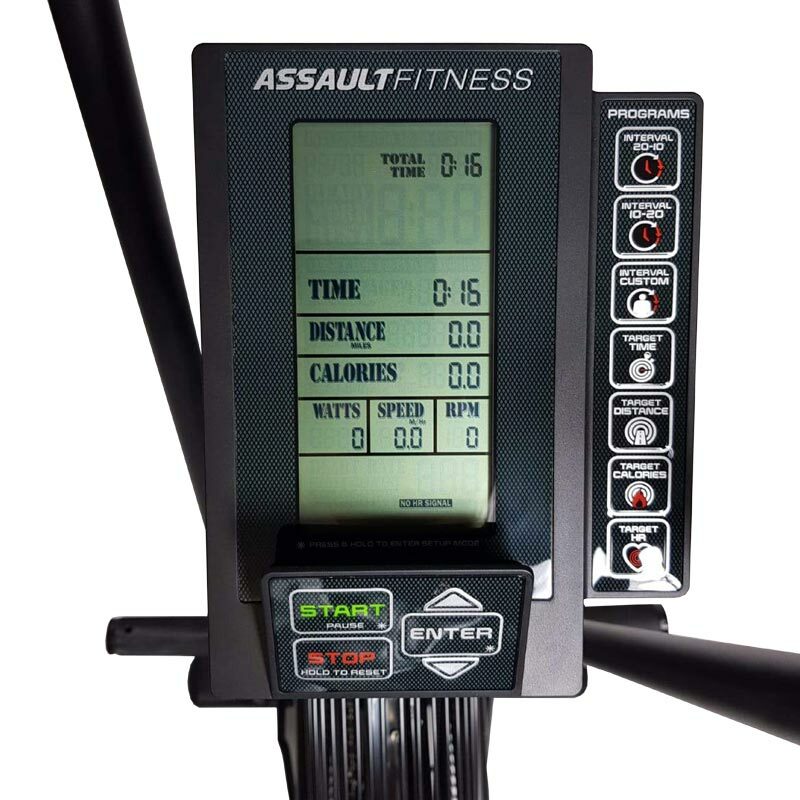 LCD Screen Outputs - Watts; Calories; Distance; Speed; Time; Odometer; Heart Rate Monitor, RPM, and Interval Training options. Dimensions (Assembled): 50.9”L x 23.3”W x 48.4”H (cm 129.4L x 59.3W x 123H). Dimensions (Boxed): 51.25”L x 11.25”W x 35.3”H (cm 130.2L x 28.4W x 89.7H).